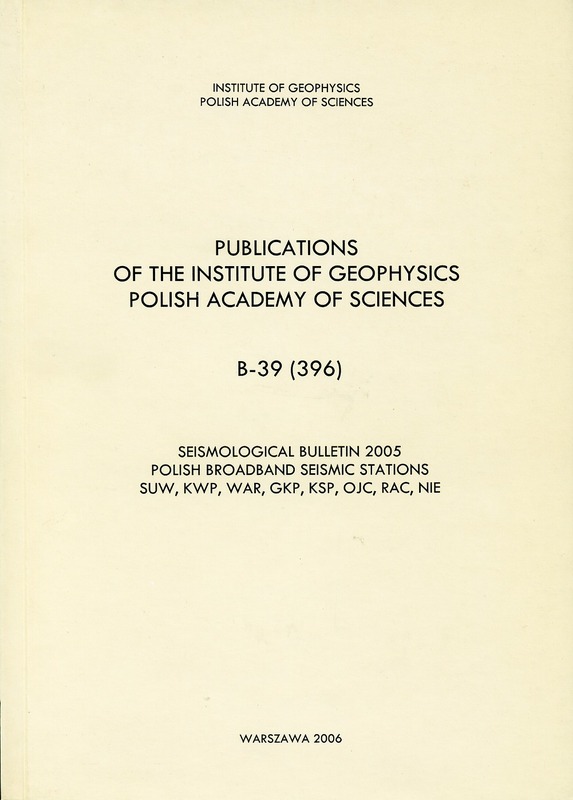 The majority of seismic events recorded in Poland are caused by mining activity in the Upper Silesian Coal Basin and Lubin Copper Basin. 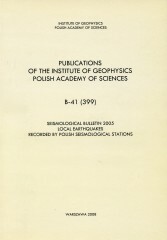 Induced seismicity is observedless frequently in the Rybnik Coal District and Bełchatów Open-Pit Mining area. 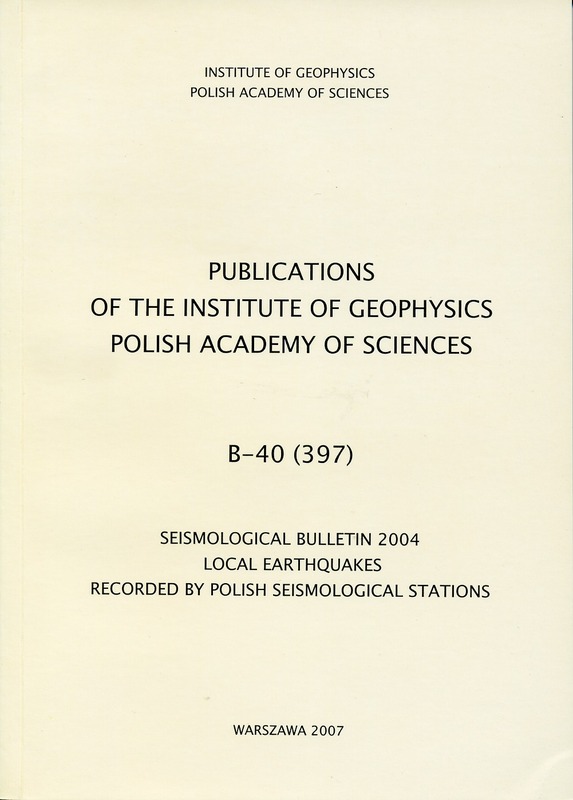 The series of local earthquakes that began on November 30, 2004, of local magnitude M = 4.4, macroseismic intensity Io = 7 in the southern margin of the intramontane Orawa-Nowy Targ Basin, Western Carpathians, have been still recorded in 2005, mainly in January and February (Guterch 2006, 2007). The strongest after shocks did not exceed macroseismic intensity 5 in the EMS scale. 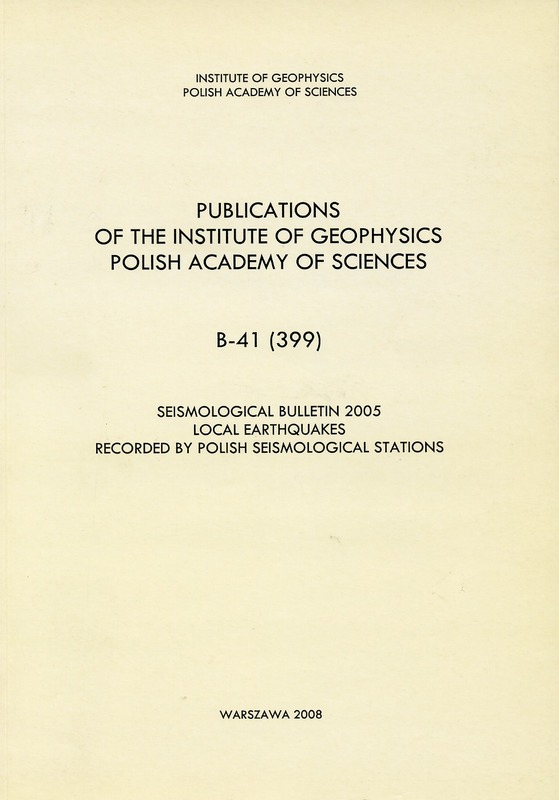 The majority of seismic events recorded in Poland are caused by mining activity in the Upper Silesian Coal Basin and Lubin Copper Basin. Induced seismicity is observed less frequently in the Rybnik Coal District and Bełchatów Open-Pit Mining area. The year 2004 was exceptional due to the occurrence of tectonic earthquakes, which even caused a slight, mainly non-structural damage to buildings. 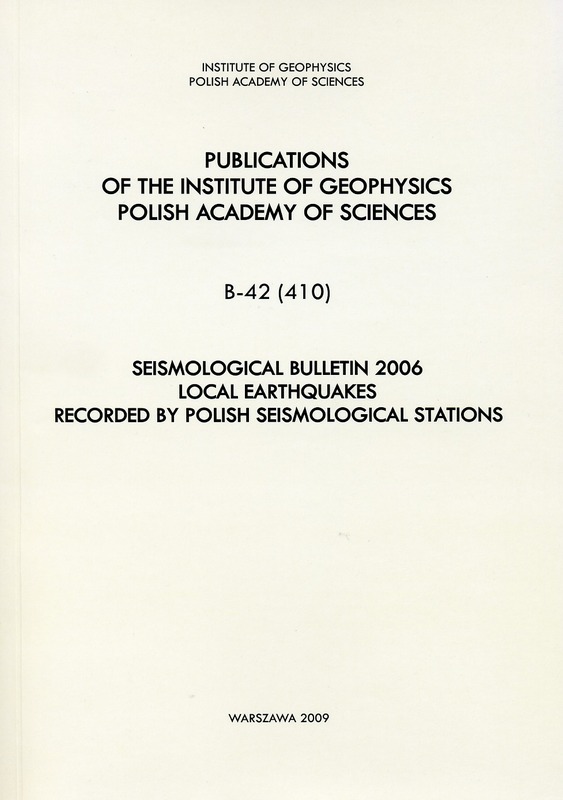 On November 30, 2004, an earthquake of local magnitude M = 4.4, macroseismic intensity Io = 7 in the EMS scale, followed by a long series of aftershocks occurred in the southern margin of the intramontane Orawa-Nowy Targ Basin, Western Carpathians (Guterch 2006). On September 21, 2004, earthquakes of local magnitudes M = 5.0, 5.3, and 4.3 were observed in the Sambia Peninsula, western part of the Kaliningrad enclave, Russia. 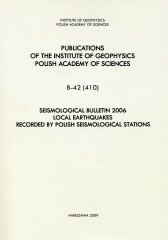 Two strongest Kaliningrad earthquakes were widely felt in northeastern Poland. 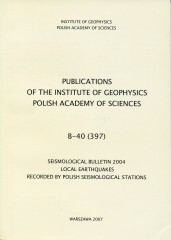 The Kaliningrad earthquakes are rare examples of intraplate earthquakes in the low-seismic area. 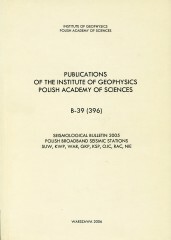 Author(s): Jankowska W., Kowalski P., Zych A. 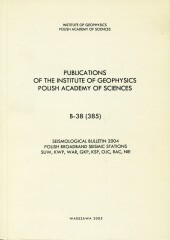 In 2005, the Polish Seismological Network of the Institute of Geophysics, Polish Academy of Sciences, consisted of eights sites. Of these sites, six were broadband, one long-and-short period, and the short period site at NIE. 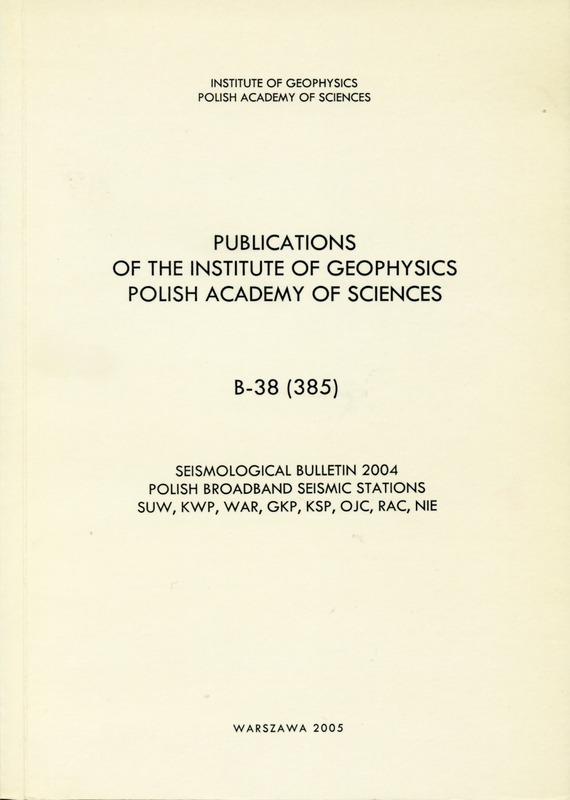 Following the nine actual activity reports of Polish broadband seismic stations, the report of 2005 covers all stations of the Polish Seismological Network (PLSN) in Poland. During 2005 the stations worked out without problems. The year 2004 was unique not only because of the occurrence on December 26 of a giant M = 8.8 earthquake near the coast of Sumatra and the following tsunami, causing over 200,000 casualities on the coasts of the Indian Ocean. The year saw also the totally unexpected earthquakes of Kaliningrad Region on September 21, the greatest earthquakes ever noted in Northern Poland and a relatively strong quake in Podhale Region in Southern Poland on November 30, spurting off a long series of aftershocks.